Andhra Pradesh Minister Nara Lokesh said the state doesn't expect much from the Interim budget, adding that whatever the central government will announce is nothing but "election gimmick." "We are very clear and we don't expect much from the central government in this budget as they have not delivered in the last four years. What they will do would be predominately a part of their election gimmick," he said. Lokesh the Andhra Pradesh Cabinet Minister for Information Technology, Panchayati Raj and Rural Development on Wednesday met Union Minister of Rural Development and Panchayat Raj, Narendra Singh Tomar at Krishi Bhavan here. He requested the wages to the state as part of the employment plan and the immediate release of the material dues. 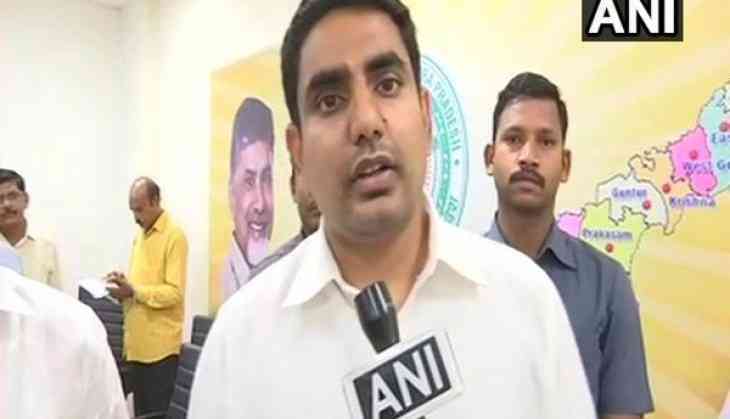 Lokesh said that the central government should pay Rs 700 crores in the form of salaries for the state government. He alleged that the central government has not released the salary arrears since November 15 and Rs 500 crore in the form of wages will have to come from the central government. He also said that the pensioners are suffering because the central government has not released funds.